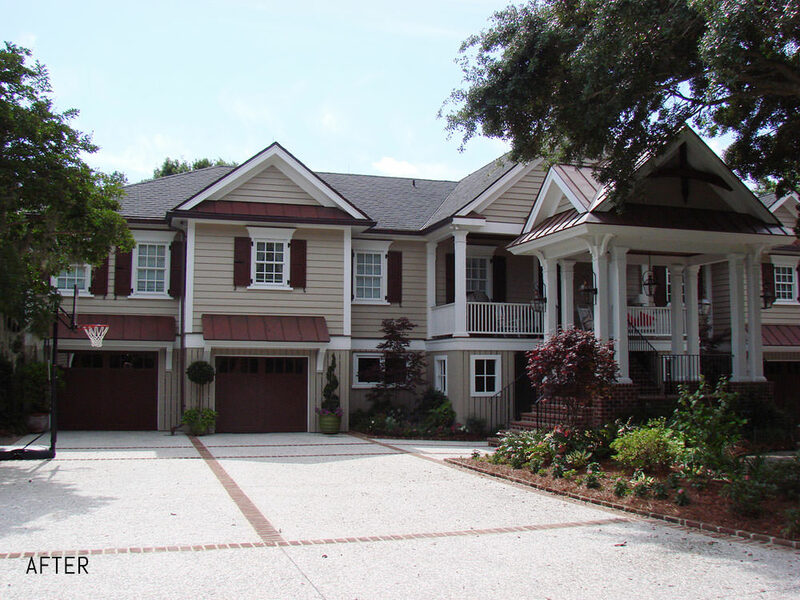 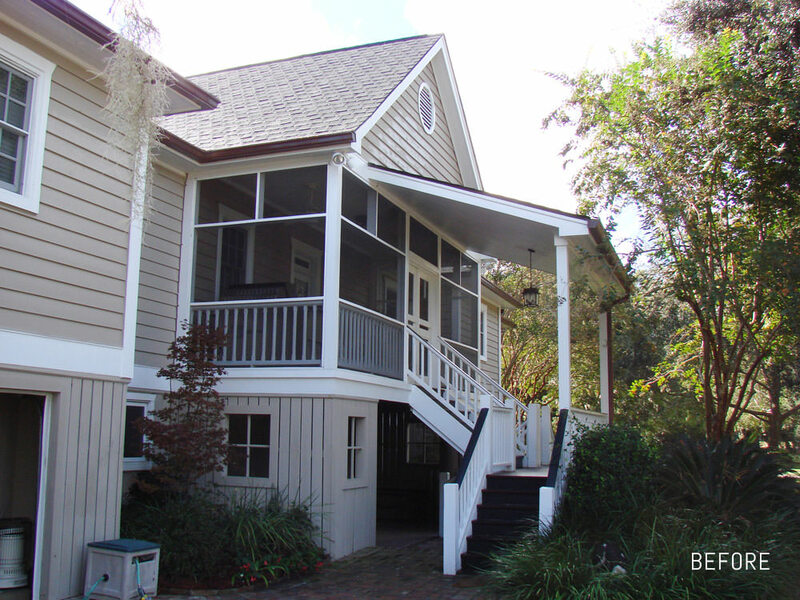 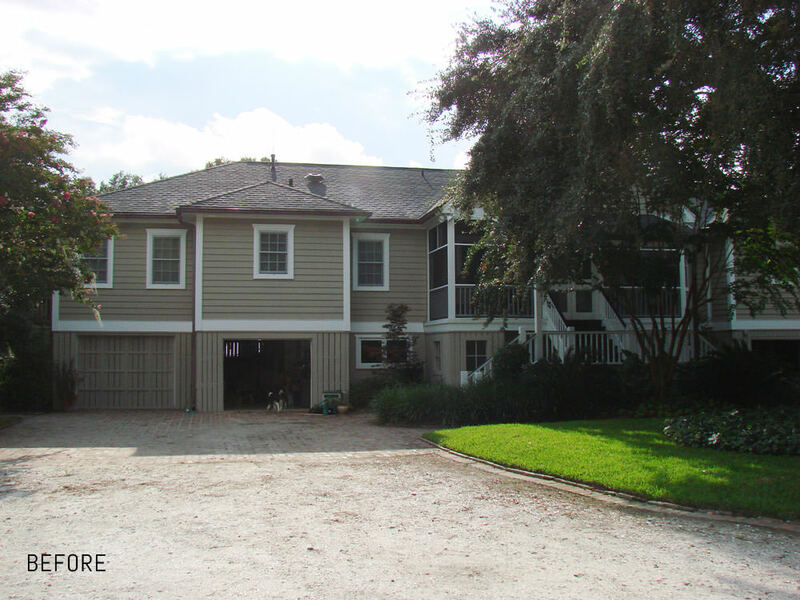 This waterfront home is located on Abbapoola Creek on Johns Island, SC. 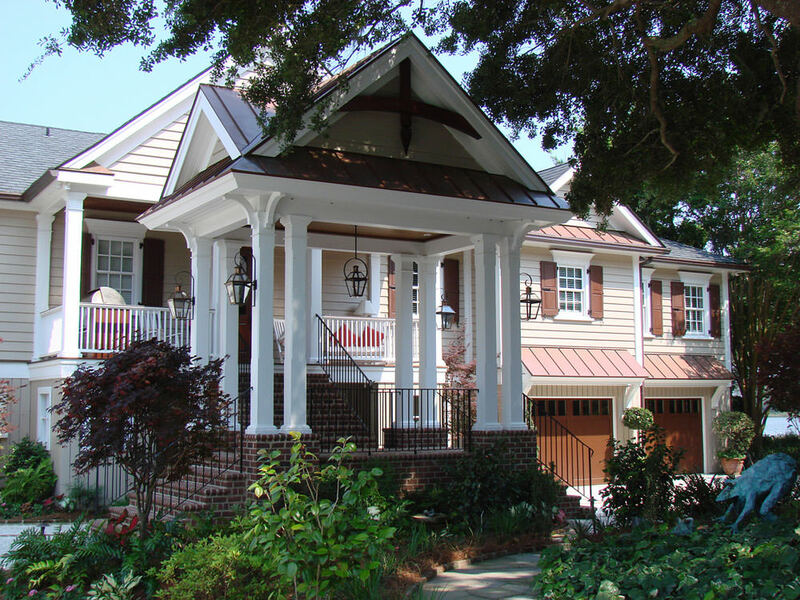 For this exterior renovation, I removed the existing wood stairs and shed roof and replaced them with open and inviting brick stairs with a copper roof. 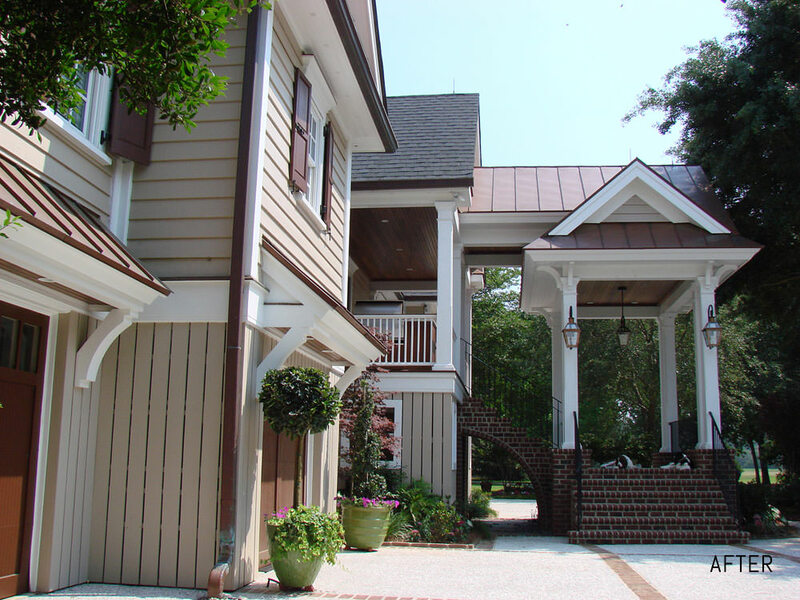 I designed an entrance to the house that was sculptural but didn't dominate or take away from the façde. 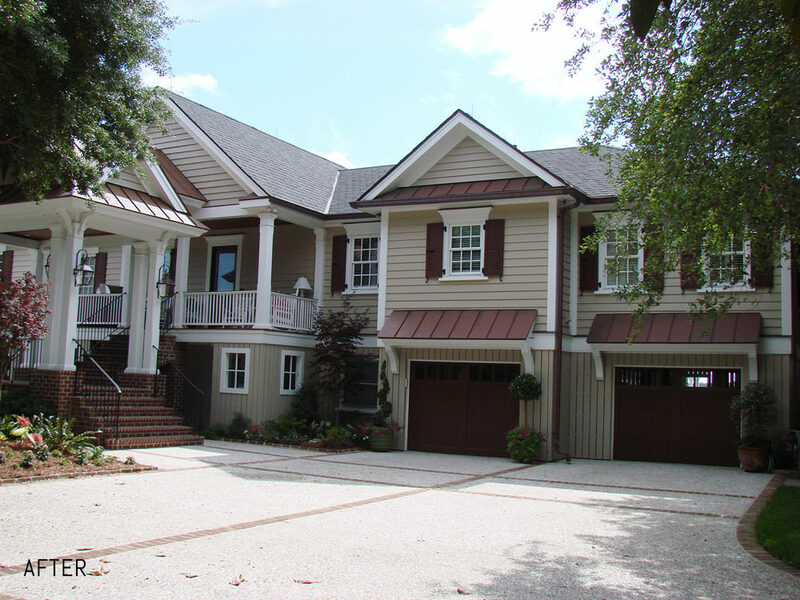 Canopy roofs with large brackets were added above each of the 4 garage doors. 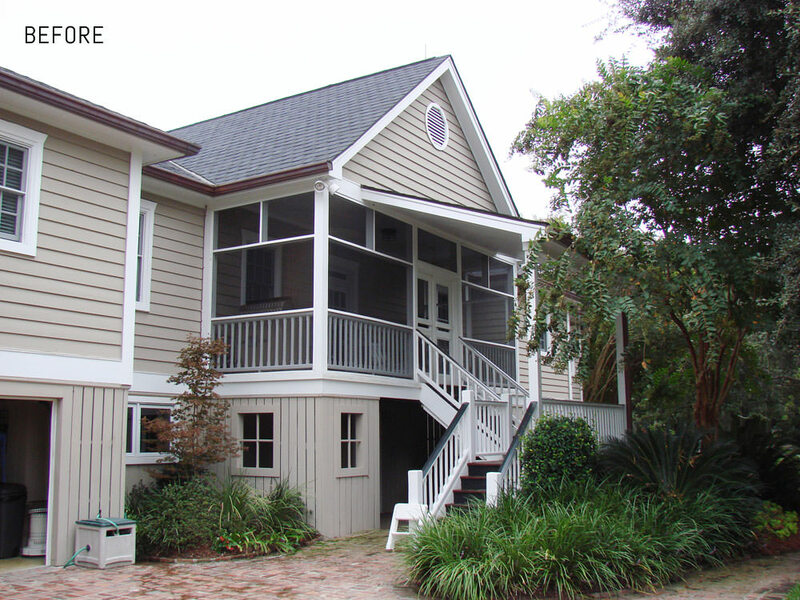 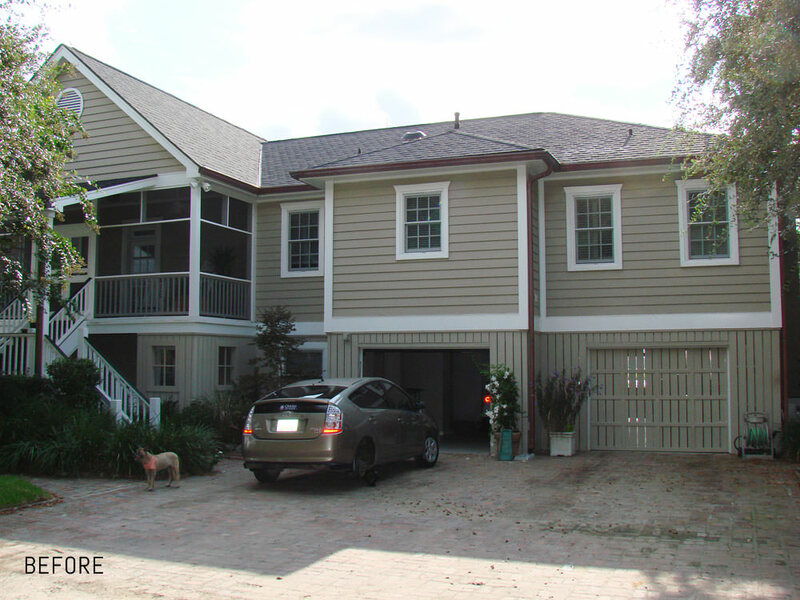 The trim around the windows was replaced, a large cove moulding added, and new shutters were installed. 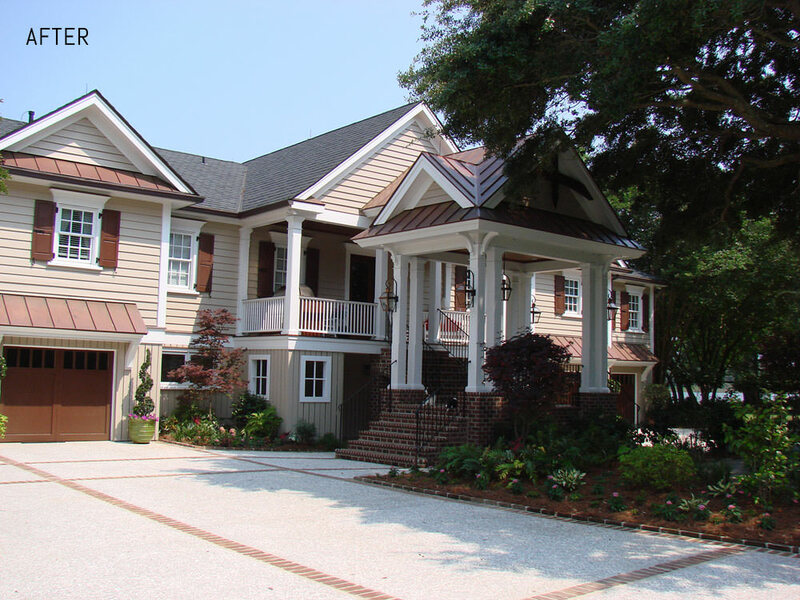 The small hip roofs were replaced with elegant gables with copper returns. 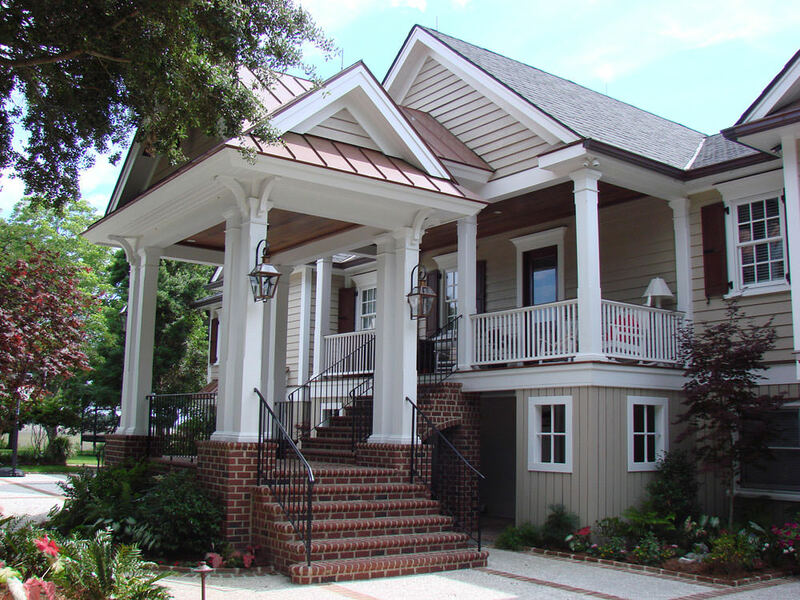 I removed the screen and skinny columns from the existing porch and replaced the columns with new, beefy square columns.